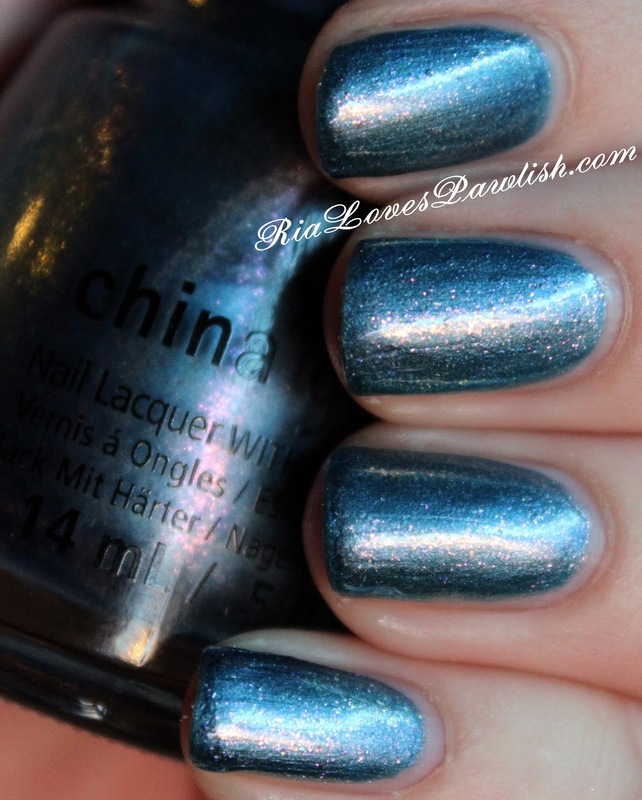 today kicks off my reviews of the new China Glaze Twinkle collection! first up we have December To Remember, i gravitated to it immediately. (it's a press sample, kindly provided to me for review!). it's a blue foil that has pink and reflects... it's lovely! it was kind of a given that i'd like this polish, and i love blue polish and i'm definitely loving the pink and gold that make it special :D it applied easily and is opaque in two coats. you'll want to add a high shine topcoat to bring out all this baby has to offer! two coats December To Remember, one coat China Glaze Fast Forward Top Coat. (both are press samples!). here's a lower light picture... you can see a bit more of the reflects in this one!